Dr. Amanda Drosieko is the founding pediatrician for Inlet Pediatrics and has experience caring for children since 1985. She graduated from Clemson University with a BS in nursing and Georgia State University with a MS in maternal child nursing. Dr. Drosieko is a board certified pediatrician. 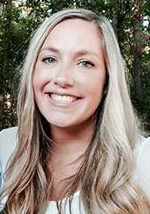 She completed her pediatric residency in Salt Lake City, UT following her MD from MUSC. Dr. Drosieko and her husband reside in Pawleys Island with their 2 daughters, Kate and Mary, and a golden retriever, Sam. If you know Dr. Drosieko, you know that her passion is the Haitian population. She travels to Haiti twice a year for medical missions. Dr. Drosieko can easily see upwards of 200 children while she is in Haiti. 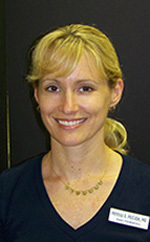 Dr. Melissa McCabe has been with Inlet Pediatrics since 2006. She has been a board certified pediatrician since 1997. She attended both undergraduate and medical school at the University of Cincinnati. She completed her residency at the Childrens Hospital of the Kings Daughter in Norfolk, VA. Dr. McCabe and her sons, Justin and Jared, live in Murrells Inlet. They have 8 pets including a ball python and a chinchilla and often jokes that she should have been a vet! Dr. Gram Praytor has been with Inlet Pediatrics since 2013. He moved to the area after finishing his residency in Greenville, SC. Dr. Praytor earned his MD from the Univeristy of South Carolina in 2009 and became board certified in 2013. He lives in Pawleys Island with his wife (Ashley), son (Miles), daughter (Eloise) and their Labradoodle (Lucy). Dr. Praytor’s specialty is asthma and pediatric obesity. In his spare time he enjoys paddleboarding, playing the guitar and traveling, especially to New Orleans! Dr. Replenski returned to Inlet Pediatrics in June 2017. After practicing here for 2 years, he moved to Tampa briefly, but returned has settled in Pawleys Island with his fiance, Christina. Dr. Steve, as known to the kids, graduated from Philadelphia College of Osteopathic Medicine in Philadelphia, PA and completed his residency at Penn State Hershey Medical Center in 2012. 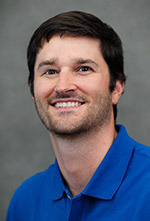 Dr. Replenski specializes in sports medicine. His free time is spent doing all things outside related including being an avid hiker. 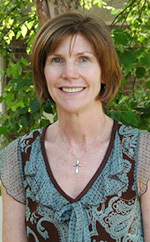 Dawn Fox, our Pediatric Nurse Practitioner, has been working in the medical field since 1996. Dawn graduated from Culver- Stockton College in Canton, Missouri with a BS in Nursing. She worked as a pediatric RN and diabetes educator at St. Louis Childrens Hospital. She received her Masters Degree in Nursing from the University of Missouri and became certified as a pediatric nurse practitioner. When Dawn is not working, you can find her boating, at the beach, attending her childrens sporting events or scrap booking. She lives in Pawleys Island with her husband, Kurt, and their three children Carter, Brecken, and Ellison Kate. 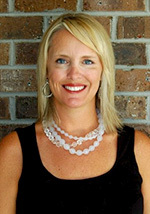 Tracey Wood joined the practice in November 2015. She is orginally from Pennsylvania and received a Masters of Science in Nursing from Drexel University. She has been a certified pediatric nurse practitioner since 2013. Tracey moved to Murrells Inlet upon completing school and lives here with her husband, Justin.